Rachelina Portolesi (Bartlett) Kvietkus, M.D. is Board Certified in Internal Medicine. Ever since she was 4 years old, Rachelina dreamed of going to the University of Notre Dame and becoming a doctor—high hopes for the first generation daughter of Italian immigrants that owned a tailor shop. With hard work and determination, plus endless love and support from her family, Rachelina participated in numerous activities in high school and graduated Valedictorian of her class at Mishawaka High School. She went on to study and do research in the Honors Program at the University of Notre Dame, receiving her undergraduate degree of a Bachelor of Science in 1989. She then completed her medical degree with 4 years at the Indiana University Graduate School of Medicine in Indianapolis prior to doing her residency in Internal Medicine at the Mayo Graduate School of Medicine in Rochester, MN. She has published papers in the Mayo Clinic Proceedings. 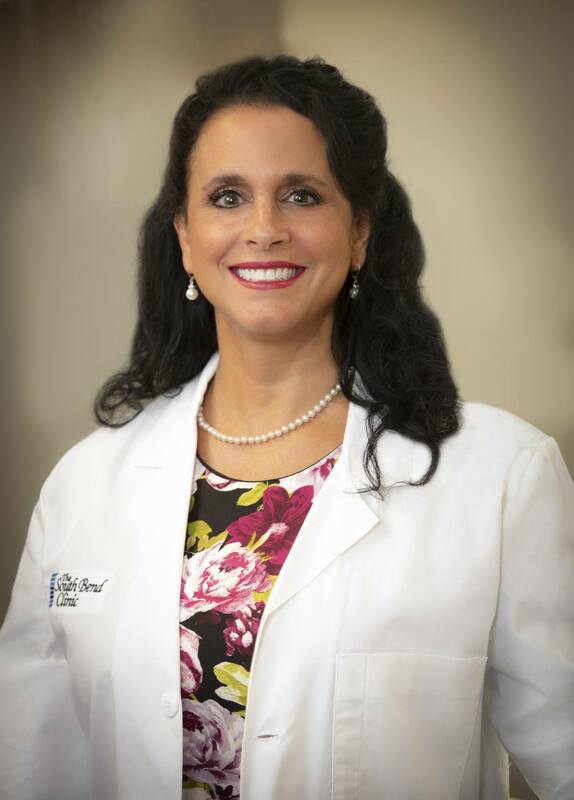 Rachelina returned in 1996 to the South Bend area to practice medicine and has had extensive experience over the years in treating complex patients prior to joining The South Bend Clinic. Rachelina has 3 beautiful daughters, a rescue dog, and a wonderful feisty Italian mother that lives in the area. She enjoys cooking, photography, reading, music, sporting events, travel, and spending time with family and friends.